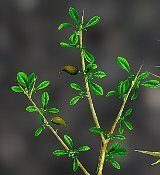 Botanical name : Commiphora Myrrha. Scent : smokey and mysterious dessert aroma. Blends well with Frankincense, Cypress, Sandalwood, Mandarin, Juniper Berry, Geranium, Thyme, Patchouli, Pine, Lavender, Peppermint and Spearmint. This essential oil is extracted from the tree trunk by steam distillation. This essential oil stimulates the production of white blood cells that directly results to strengthening of resistance against illnesses. With an increased number of white blood cells, naturally, the immune response is quicker that leads to hastened healing or recovery. It also has notable influences towards the digestive tract where it can strengthen the system and also help in easing gas and hyperacidity as well as loose bowel movement. In women, gynecologists prescribe the use of Myrrh essential oil in treating the obstructions in the womb, leucorrhea, scanty menstrual flow and also thrush. In Chinese medicine, they treat hemorrhoids, arthritis, irregularities in women's menstruation and wounds with Myrrh essential oil. Also, this essential oil helps in reducing cholesterol level in the blood that will helps in weight loss. Myrrh essential oil is also a good alternative medicine intervention for cases related to respiration such as asthma, colds, coughs, bronchitis, flu infection, bronchitis and sore throat. The substance is a good nasal decongestant, it has a mucolytic property and it helps soothe swelling membranes that is common in asthmatic people. Few skin conditions may be treated with this potent essential oil like psoriasis, candidiasis, jock itch, ring worm, eczema and also fungal infection in general. This essential oil's efficacy was recognized by the British Pharmacopoeia as good for mouth ulcers and gingivitis. Myrrh essential oil contains antioxidants that prevent premature aging of the skin preventing wrinkles. Also, this substance will aid in maintaining healthy skin as well. It is also a good moisturizing agent that is good in treating chapped, rough and cracked skin helping in softening the affected areas. This essential oil has a notable quality of increasing the rate of cell regeneration. It is preferable in treating swelling, infection, and ulceration of the skin, blemishes and also wounds. Another quality it has is its ability to stimulate proper circulation of blood that gives the skin a healthier glow and allows faster healing as well. Myrrh Essential oil is a tonic for the nervous system and the psyche. This substance influences the psyche to replace negative emotions to strength, optimism and positivity. Myrrh oil serves as a stimulant that grants clarity of thought, heightened concentration and empowerment. For individuals undergoing through difficult times caused by separation, this essential oil is ideal in easing the negative emotions brought by this experience restoring a balanced, stable and positive outlook. Additionally, this essential oil can be used in inducing calm thus subduing angst and even hyperactivity. Myrrh has a notable effect of stimulating menstrual flow; gestating women are highly discouraged in using this substance regardless of dosage or frequency. Do not use during pregnancy or while breast feeding. For adult use only.